The Hyper-X Plus TLSO Back Brace by Cybertech/Ottobock is a hyperextension back brace that limits forward flexion of the back and spine, reducing discomfort associated with compression fractures, degenerative disc diseases, kyphosis, osteoporosis, osteoarthritis, and other thoracolumbar and spinal injuries. It stabilizes and controls the body along with the lower lumbar spine, providing constant support and pain relief. This jewett back brace applies pressure to three areas of the body- the sternum, the midback, and the front of the hips, supporting the thoracic and lumbar spine and limiting forward flexion of the back. It helps to encourage proper posture and spinal alignment, which helps to reduce pain and discomfort. 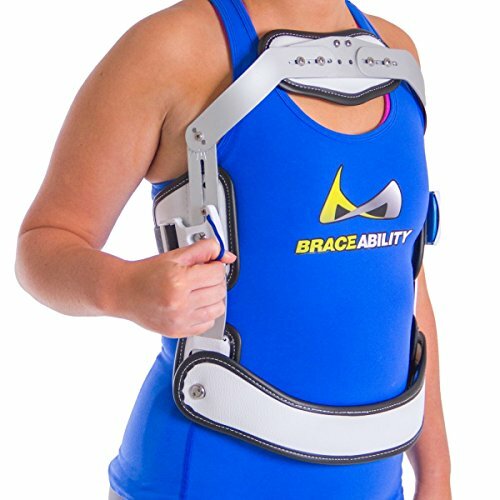 The frame of the brace has numerous features geared towards user comfort and compliance. The pelvic band is spring loaded and it rotates along with the patient, making it easy for one to move from a seated to a standing position or vice versa without the brace shifting out of position. The pad in the sternum area also moves with one's body, improving the function of the back brace. Soft padding along the areas that come in contact with the body also improve the comfort factor of this lumbar brace. The frame of the hyperextension orthosis can easily be adjusted both in terms of height and width to customize to each patient. This can be done without removing any screws from the brace. The aluminum material this brace is made of makes the brace quite lightweight. It is easy to put on and take off thanks to its quick-release closure system at the side of one's torso. The back brace also features a secure locking hatch that is easy to operate. It is available in two different options regular and short, and three different sizes: S, M, and L. The brace fits hip circumferences ranging from 31" to 44", and height ranging from 17" to 25". Measure the circumference around your hips and the distance from your hips to your sternal notch. Size L Regular fits hip circumferences of 40"- 44" and 23"-25" torso height.